Alright kids don’t try this at home. There is probably only one guy in the world that would try the backward shot in a competition round, that is of course Phil Mickelson. Phil attempted the shot during the second round of the Barclays at the par 4 18th. He drove the ball into the green-side bunker and was left with an awkward lie. With the crowd willing him on, he had no option but to try his trademark shot. Unfortunately the shot didn’t come off but Phil was still able to salvage par. 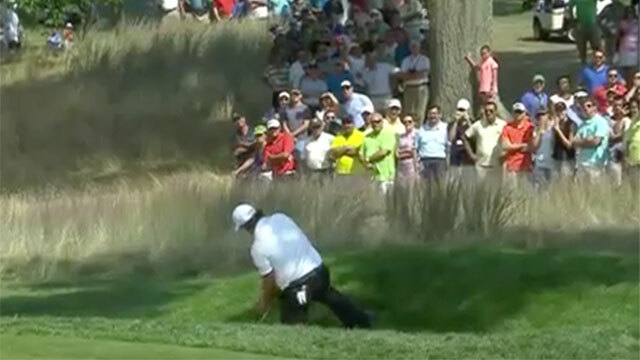 Check out the video below of Mickelson incredible attempt at the Barclays. Although this one didn’t come off, check out a successful backward shot.